Get ready for another fantastic year of Wool Club! Join Alice six (6) times throughout the year and learn all about wool and its' properties. In each class you will work on a different, relatively small, project . 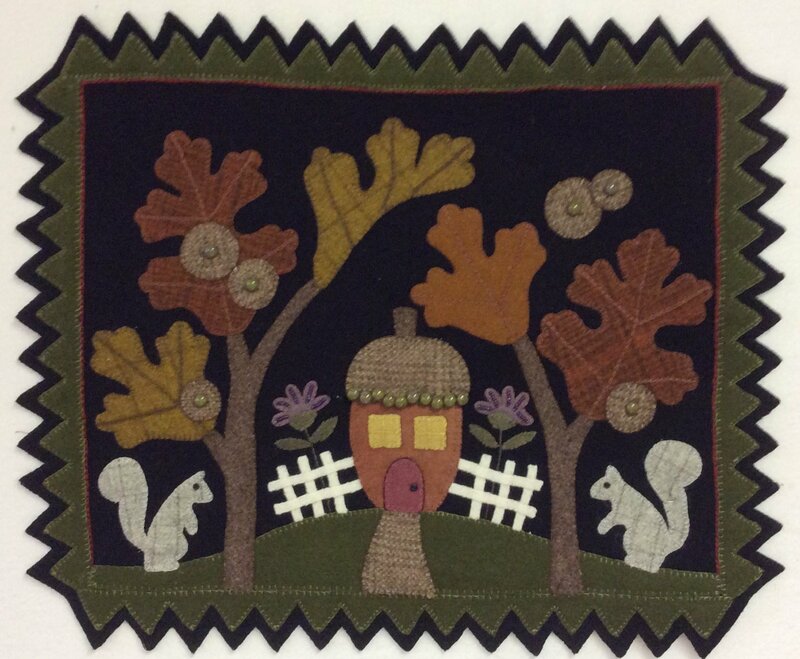 . . Acorn Hollow, Halloween and Give Thanks (all designed by Bonnie Sullivan) and more. Each class will continue to focus on learning different stitches appropriate for the current project (and perfecting these stitches) and experimenting with a variety of threads applicable to wool. If you have never worked with wool (but have always wanted to do so) or even if you are a wool "aficionado" this club will provide you with both guidance and inspiration.